This is our most popular model. The Little Crow appearance is very exotic and mysterious but also pretty hot. This model is perfectly suited for all kinds of modern rock and metal styles. The characteristic 'Crow' sound, among other components, stems from a hand-selected Pau Ferro neck which provides an exceptionally transparent sound with sparkling highs, creamy mids, powerful lows and overtones galore. 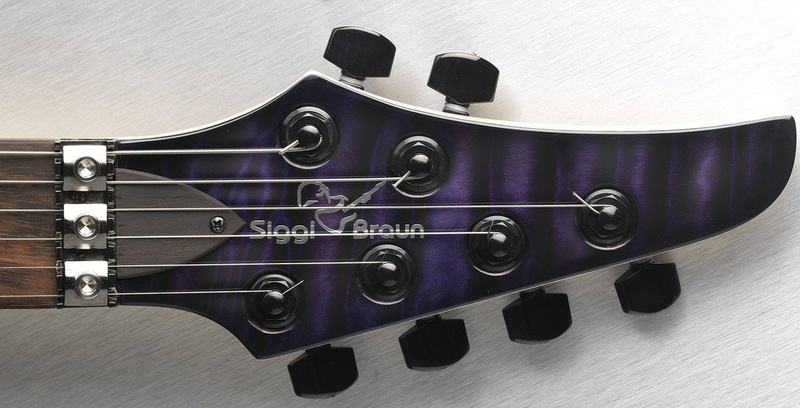 Feature-wise, every 'Crow' comes with our great CNS neck joint system, stainless steel tremolo screws and top-notch Siggi's Favorite Plus humbuckers, handmade by European 'pickup guru' Harry Häussel. When dreams come true! Our Indian Summer model is handcrafted with love at our Siggi Braun Custom Shop every single of our custom shop instruments is a true one of a kind, made by the finest components available. 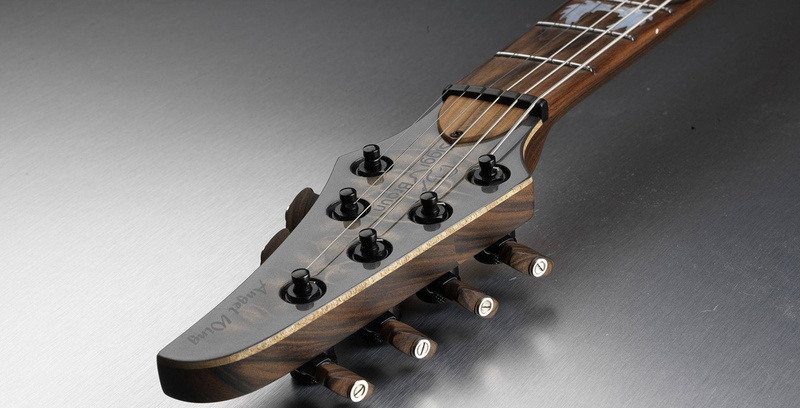 The Pau Ferro fingerboard gives you a perfect 'wooden feel' and - thanks to the set in CNS-neckjoint - also an excellent playability in the upper neck regions. Once you tried this, you will not want to miss this experience any more. The Indian Summer provides a big, warm and also very clear sound. This model ideally suits traditionally oriented music but can be used for modern styles as well. This guitar is truly a big adventure playground for the demanding player. 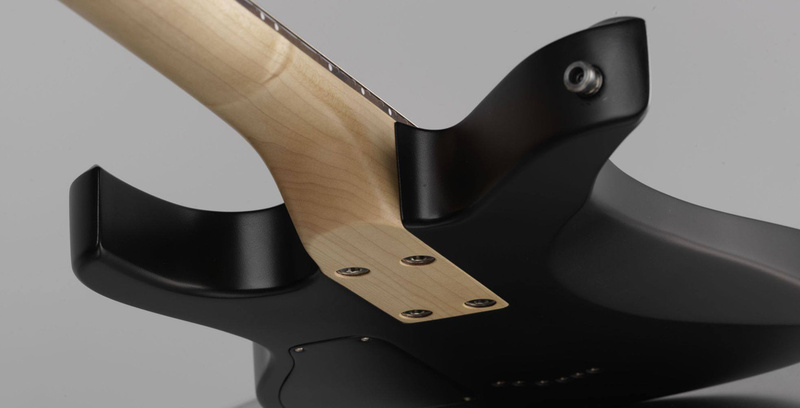 Our Angel Wing guitar undoubtedly represents the highest level of handmade guitar-building we can reach today. 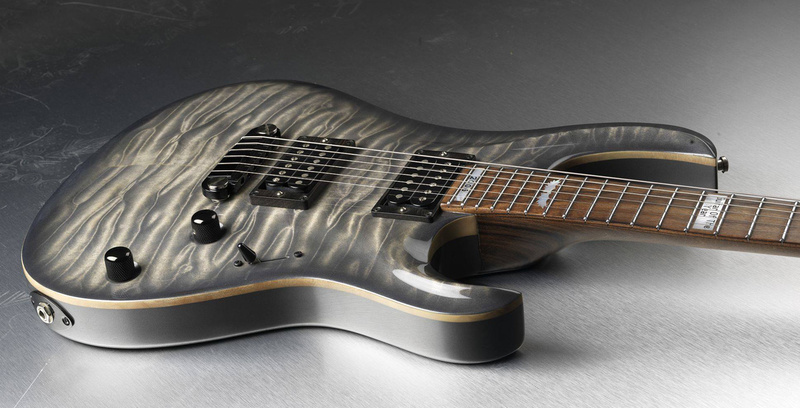 The highest selection of mastergrade tonewoods and a stunning inimitable translucent silver metallic finish substantially contribute to the outstanding uniqueness of this model. The combination of a set-in Pau Ferro neck utilizing our CNS system and a body made of handselected Corina provides a well-balanced powerful tone with great overtones and singing sustain. Perfectly suited for all modern and traditional rock styles. Caution! The Name "Boo" for this uncompromizing Rock-axe for sure is pure understatement. Boo has especially been developed for guitarists who claim to leadership in terms of personality and Tone. Lots of selected Mahogany for body and neck, together with our ingenious CNS- neckjoint and best available Hardware provide a proverbially "Wall of Sound". We strongly recommend suitable tube amp power in order to experience the untamed "Boo" power. But be aware: This guitar will separate the boys from the men! Reduced to the MAX“ our Rockline Model has a high quality Set-in neck, selected Korina and Mahogany Woods and of course our ingenious Custom pickups. We strongly recommend suitable tube amp power in order to experience the untamed "Boo" power. Our Raven model is a perfect combination of traditional sounds and a modern appearance. Selected maple and mahogany tonewoods provide a warm but straight tone with powerful mids and creamy sustain, supported by the excellent Siggi's Favorite humbuckers. 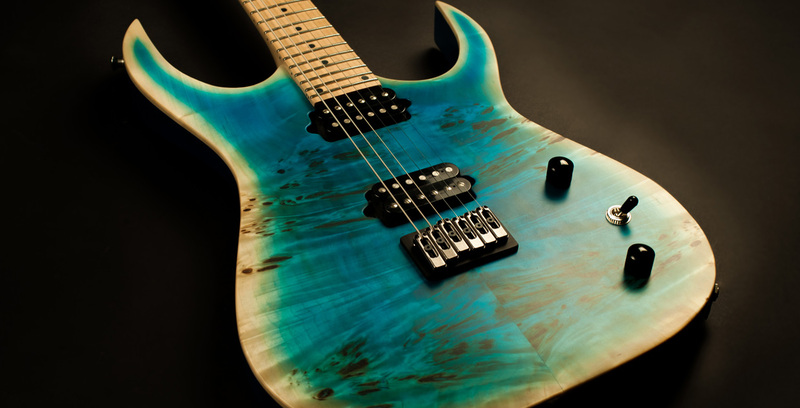 A Schaller Floyd Rose tremolo system enables expressive tremolo action and maximum comfort in handling. Just take a look at the gorgeous finish! Thanks to a very special and time-consuming staining technique, the Raven finish results in a highly fascinating colouration sparkling from a deep red shade to dark purple. Our Icarus model is a perfect combination of agressive sounds and a modern appearance. Selected maple and mahogany tonewoods provide a warm but straight tone with powerful mids and creamy sustain, supported by the excellent Siggi's Favorite humbuckers. Just take a look at the gorgeous finish! Thanks to a very special and time-consuming staining technique, the Icarus finish results in a highly fascinating colouration of natural faded burst.